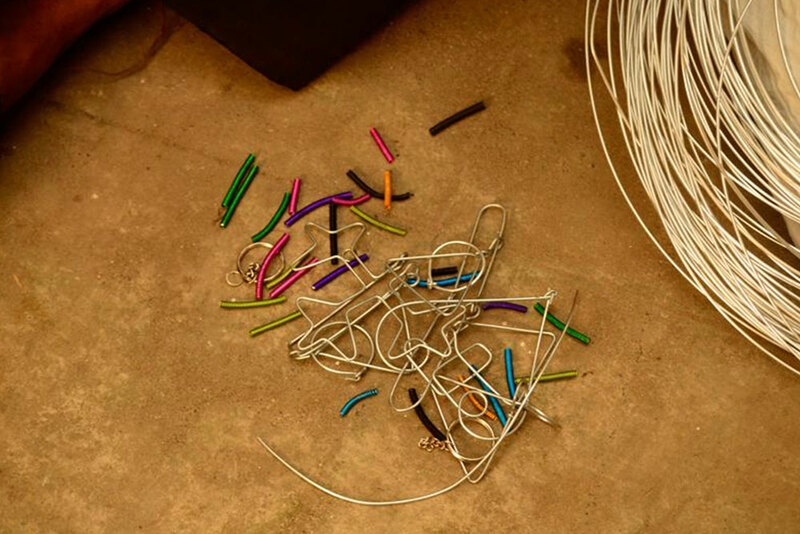 Wandering on to the streets of South Mumbai one could easily spot the colorful models made out of single wire on display. 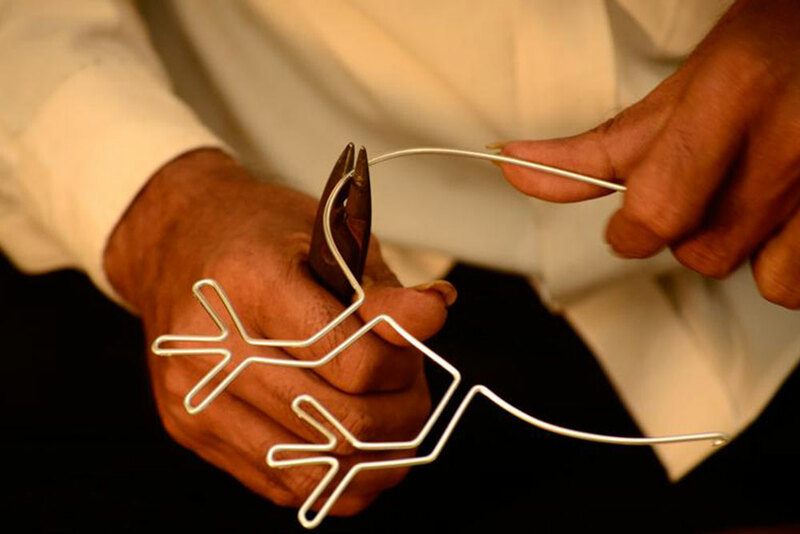 This strange yet beautiful looking artwork varies from colorful bicycles, motorbikes, and rickshaws to animal figures and faces of gods. 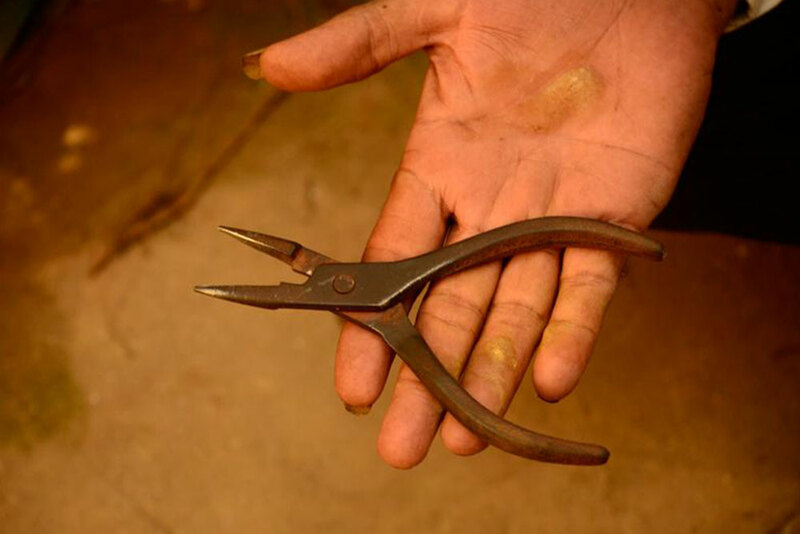 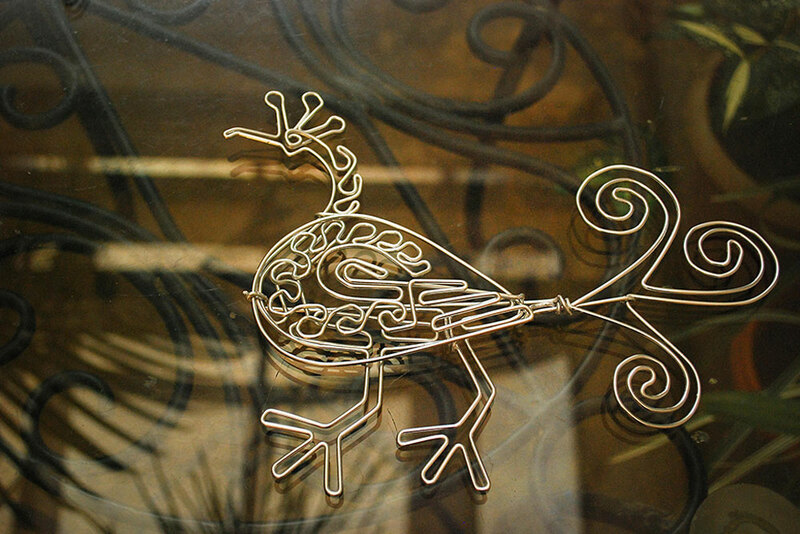 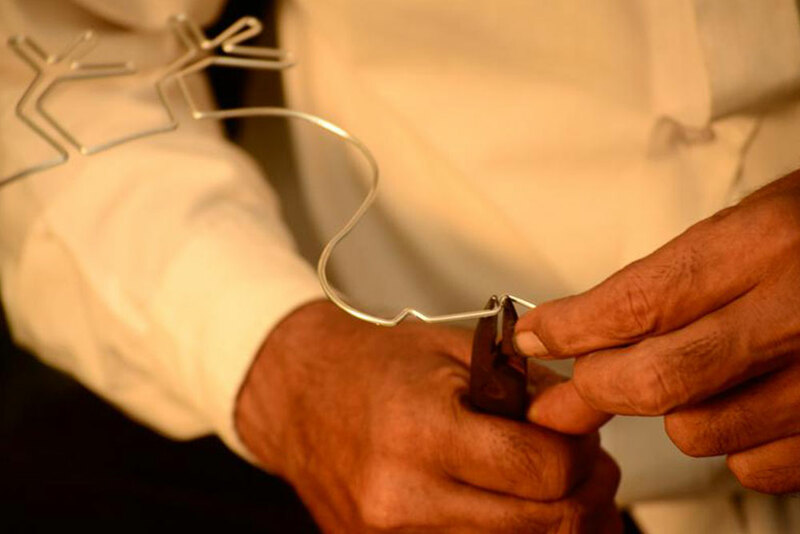 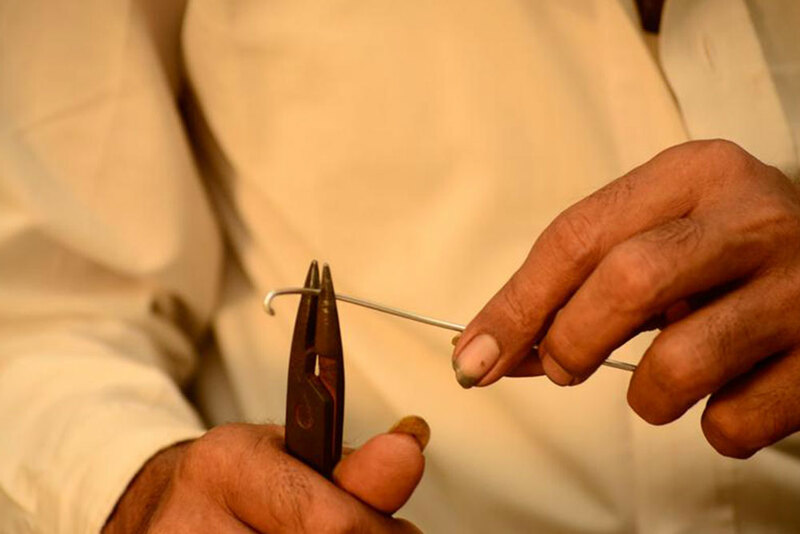 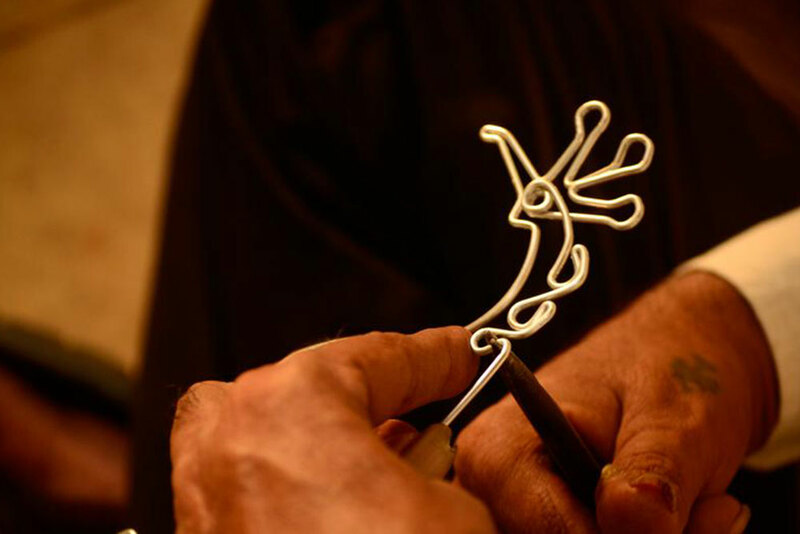 The art of wire bending may find its traces in the ancient wire sculpted jewelry, which is believed to originate over 5000 years ago and practiced by Egyptian and Phoenician artists. 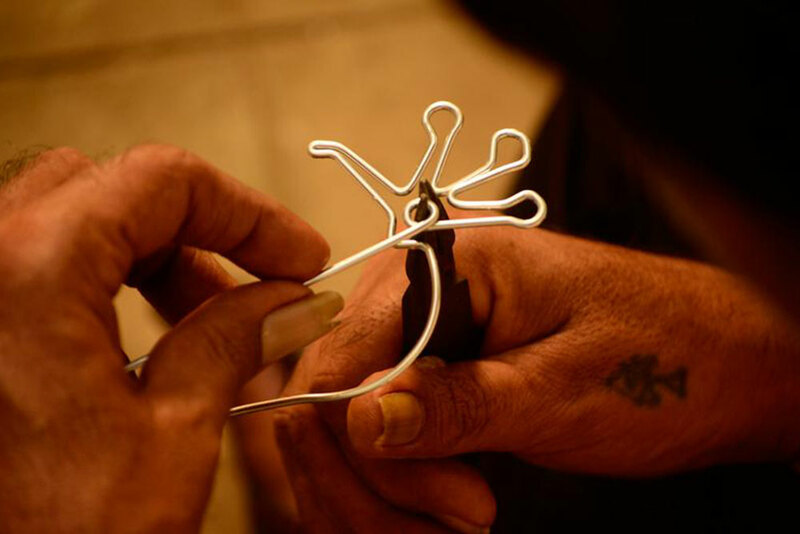 However the street art of Mumbai is very urban and is born out of need of its people to find opportunity in anything and everything in the maximum city. 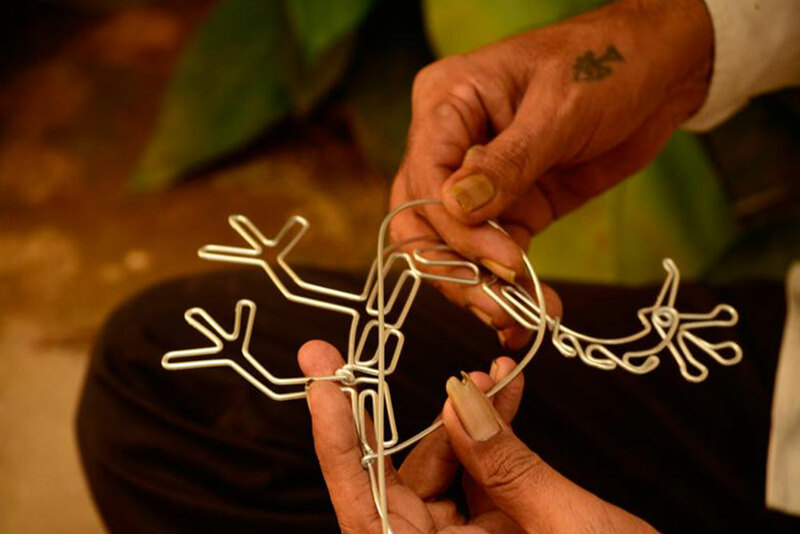 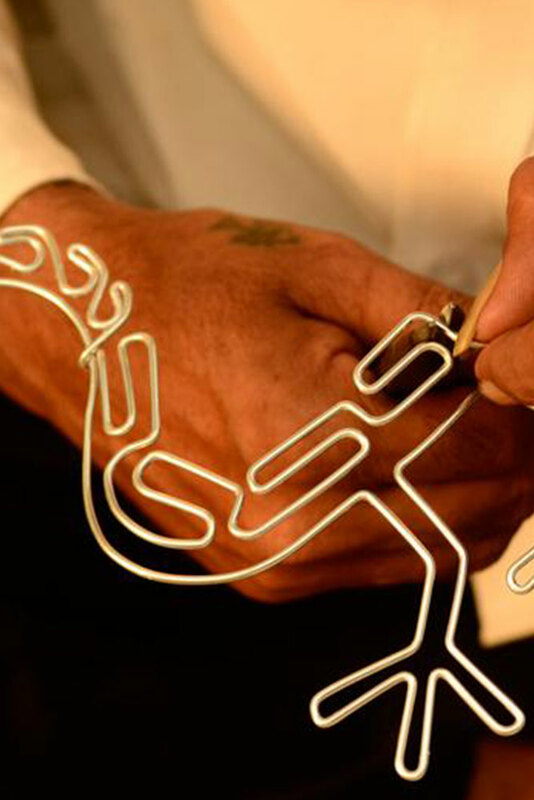 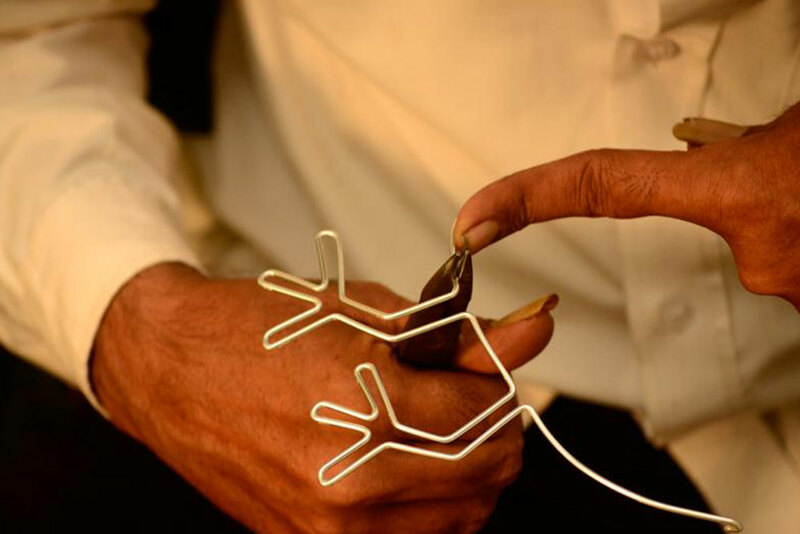 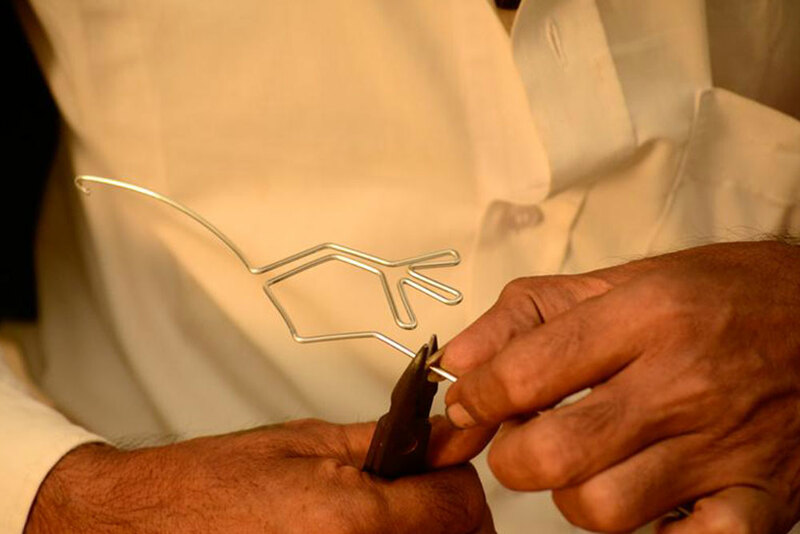 Harish Kumar Bhanushali is one such artist, who is famous for his street art, the models he makes out of single metal wire.